With the incredible technology of stretch, flex, and hold-in properties, our plus size skinny jeans are unbelievably soft and figure-hugging. As the ultimate closet staple, this skinny-fit pair slims from the waist to hem. With our incredible dark Solstice, this pair is the ultimate essential you need for day and night! 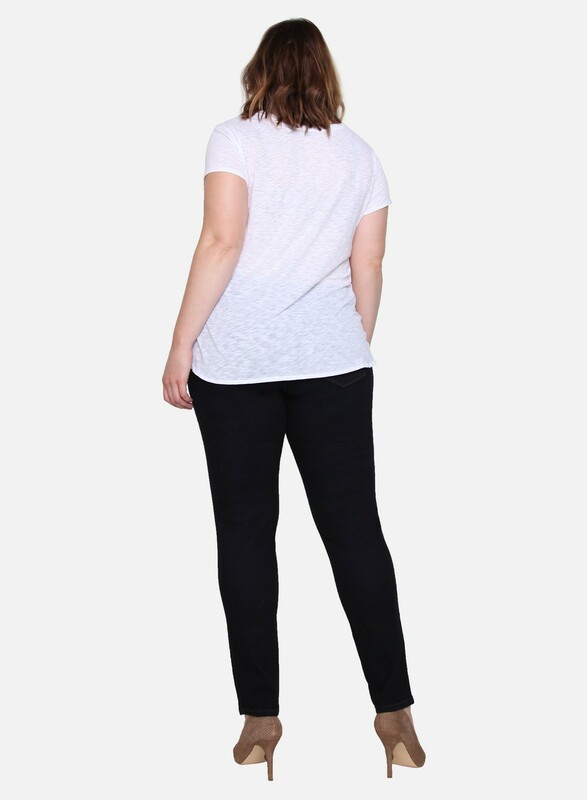 Legging Jean With the incredible technology of stretch, flex, and hold-in properties, our plus size skinny jeans are unbelievably soft and figure-hugging. As the ultimate closet staple, this skinny-fit pair slims from the waist to hem. With our incredible dark Solstice, this pair is the ultimate essential you need for day and night!